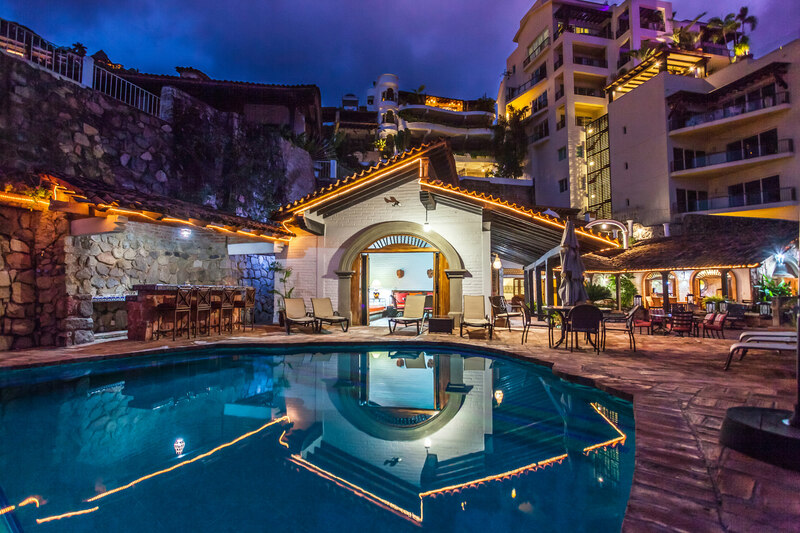 Villa Bahia is a fabulous contemporary villa which can be rented as a 4 or 5 Bedroom overlooking the rugged south shore of Puerto Vallarta. The elegant clean lines are the perfect showcase for the owners amazing collection of art from some of Mexico’s most famous artists and the breathtaking view. Designed with consideration and vision this luxury villa includes amenities like the heated saltwater infinity pool, expansive floor to ceiling glass doors that slide away for outdoor living at its best to enjoy ocean breezes in this pacific coastal getaway. With 5 master suites, each with terraces and ocean views, indoor and outdoor gourmet kitchens, pool and spa, all just 3 miles or a few minutes drive from all the color and charm of down town Puerto Vallarta.